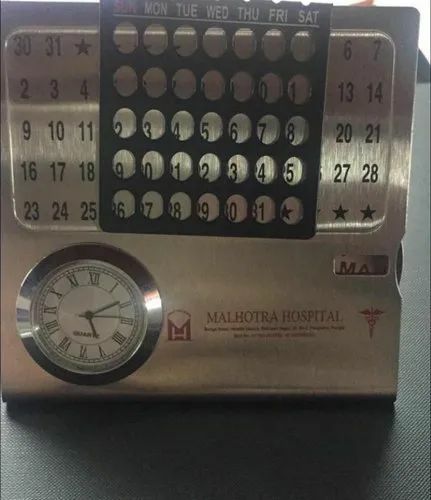 We are a leading Manufacturer of desktop steel lifetime calendar from Mumbai, India. Adjustable plate available for set the days. Space available to print your logo or any message so, It can be easily used as promotion gifts.